Gattefossé has built a solid scientific reputation with its functional excipients and their drug development applications. Continuous R&D investment and employment of highly qualified scientists demonstrate our commitment to providing customers worldwide with quality technical support. • to share knowledge through education and training. Frequent dialogue between pharmacists and chemists at these centers enhances our understanding of drug development and the pharmaceutical environment in different countries. It also serves to expand our expert knowledge on excipients, processes, and drug delivery technologies. 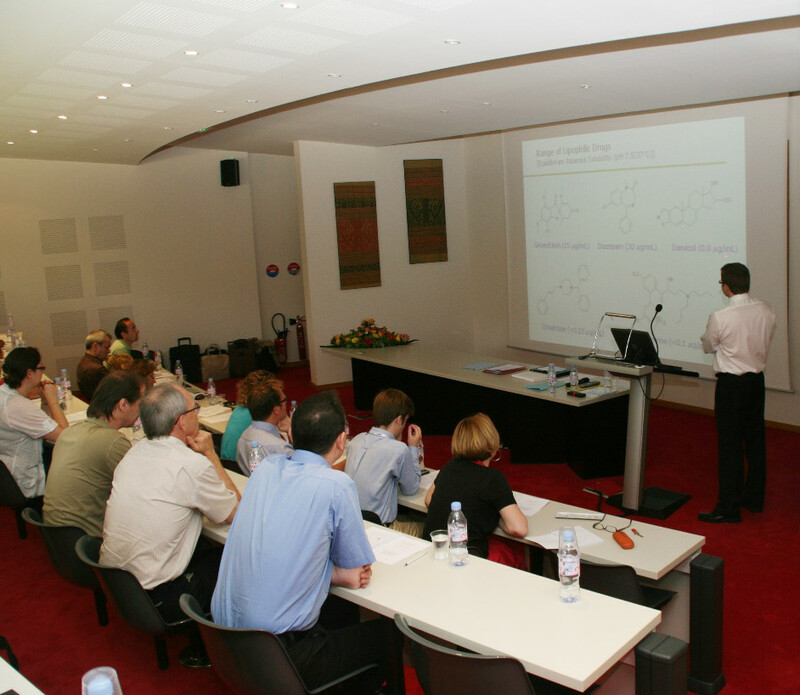 Gattefossé has continuously developed close relationships with researchers from pharmacy faculties at universities around the world. These collaborations continue to be a source of inspiration, innovation, and learning and have led to many publications in peer review journals. Lipid-based drug delivery (LBDD) systems are increasingly used to overcome poor drug solubility and improve oral bioavailability. As a pioneer in the field of self-emulsifying and self-microemulsifying drug delivery systems (SEDDS and SMEDDS), Gattefossé has put much work into the development of formulation strategies and characterization methodology. Our customers benefit from our Formulation Guidelines, training, and one-to-one advice on LBDD development. Lipid excipients enable the straightforward development of sustained-release matrices with high physiological resistance. Our case studies address a range of APIs and formulation through various processes (e.g., direct compression, wet/hot granulation, and hot melt extrusion). Certain APIs have been the focus of scale-up operations and human in vivo studies. Customers may have access to our Formulation Guidelines and practical tips for the development of robust SR formulations. Gattefossé emulsifiers enable the development of simple topical formulations with the texture and sensorial quality of cosmetic products. Our prototype formulations are subject to in-house sensorial analysis through which we learn how to optimize texture and sensorial aspects by appropriate selection of excipients and formulation. Customers have access to our data bank of prototype formulations and technical support to develop superior products. The development of topical formulations allowing targeted transcutaneous drug penetration is a challenge. We have studied the solubilizing capacity of our excipients in conjunction with specific APIs and developed skin-penetrating formulations subject to industry-standard in vitro tests. Decades of experience in suppository formulation and specialized analytical equipment enable us to develop robust suppositories with excellent drug delivery properties. Our formulation data bank, ability to match APIs with appropriate suppository or pessary bases, and expertise in scale-up and production mean we can help customers develop new products, or reformulate existing ones faster. An immense advantage is afforded by the proximity and close collaboration of formulators from our Pharmaceutical Application, Pharmaceutical R&D, Oleochemistry, and Cosmetic Application Laboratories. Their interactions and synergies drive product and process innovation, continuous improvement, and enhanced customer support services. investigation of the structural-functional relationship of excipients and their behavior in the human body, including excipient behavior in biorelevant media (dispersion and digestion) and interactions with biological barriers. Our oleochemists develop analytical methods to precisely evaluate the composition of lipid excipients, making it possible to isolate specific components for further functional studies in the R&D pharmaceutical laboratory. This work enables us to understand more about excipient Critical Material Attributes, which are essential to Quality by Design. Our oleochemists also design and synthesize new excipients with optimized formulation properties. Collaboration with cosmetic formulation experts is a source of new, shared knowledge and fosters cross-fertilization. These connections strongly inspire our Dermacare offerings through the application of sensorial analysis and mapping techniques to develop optimized prototype formulations with our range of emulsifiers.